The Helen Wurlitzer Foundation of New Mexico doesn’t want to offer me a three-month residency in 2014. Rejection always, always hurts. No matter how many you receive, and believe me, I’ve received boatloads, it still stings. It’s still impossible not, for those first few blaring minutes, to take it personally, to think that someone is rejecting you. They aren’t, of course. They’re simply saying that your work isn’t what they’re looking for, that your vision or agenda or style or message doesn’t match theirs. Still, it’s hard to understand this, hard not to brood and rage and obsess before pulling yourself together and searching for another residency, another contest, another publication. That’s the bad news. 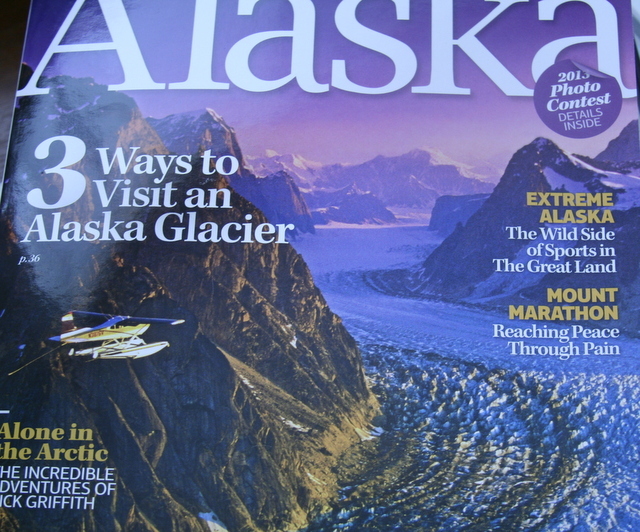 The good is that I had an essay on running Mount Marathon in the June issue of Alaska magazine, and the upcoming issue of Evening Street Review (including four of my poems) should hit my mailbox soon. Twelve years ago on the Fourth of July my sister died of complications from an eating disorder. She was driving a taxi down in Florida and later they told me she cried, “Whoa, there,” and maneuvered the cab to the side of the street before collapsing across the steering wheel. She was wearing a pink shirt at the time, such a hopeful color, pink, and when I heard that, something in me died, too. Then a mountain brought me back to life. 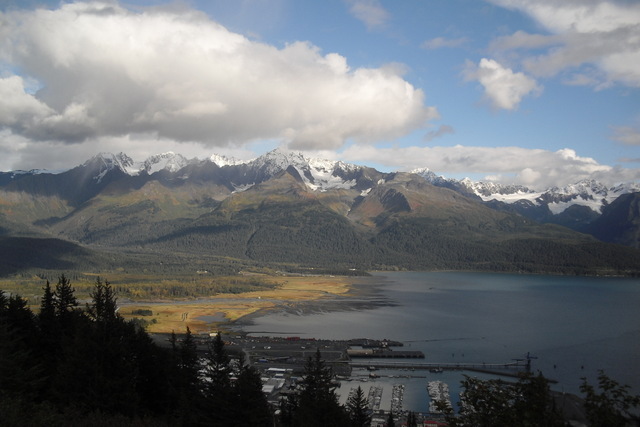 Mount Marathon looms above Seward, a small fishing community on the shores of Resurrection Bay, spreading out above the town like a watchful eye, a benevolent spirit. Each Independence Day muscular athletes in duct-taped shoes line up downtown for a chance to charge up the mountain and back down again. 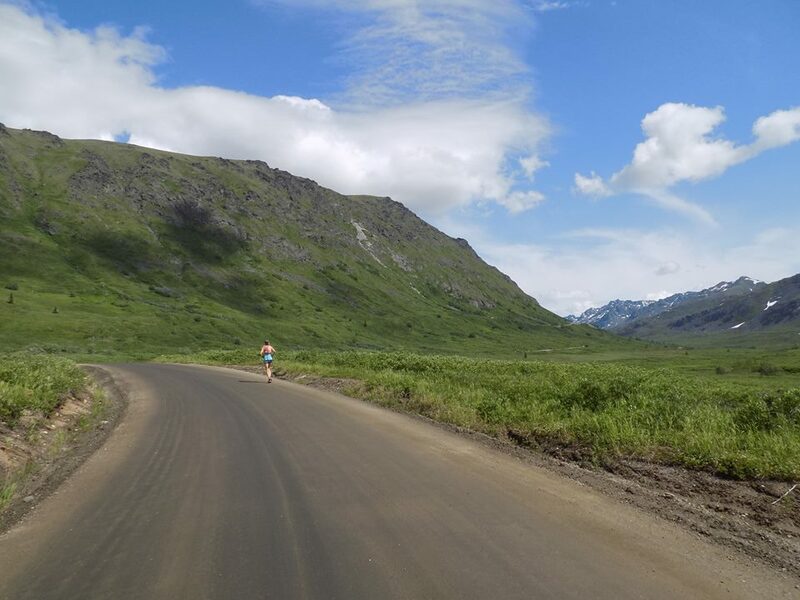 The Mount Marathon Race features 3,022 feet elevation gain in one and a half miles, ankle-deep scree, sixty percent grades and iffy handholds. The climb is relentless and fickle and never lets up, never allows a chance to pause or catch a breath. It’s brutal and gritty and unforgiving, and many runners cross the finish line with bloodied legs and arms. These bruises are seen as badges of honor, sources of pride, testaments not so much as bravery and recklessness but wild and innocent abandon. And I do abandon myself to Mount Marathon. 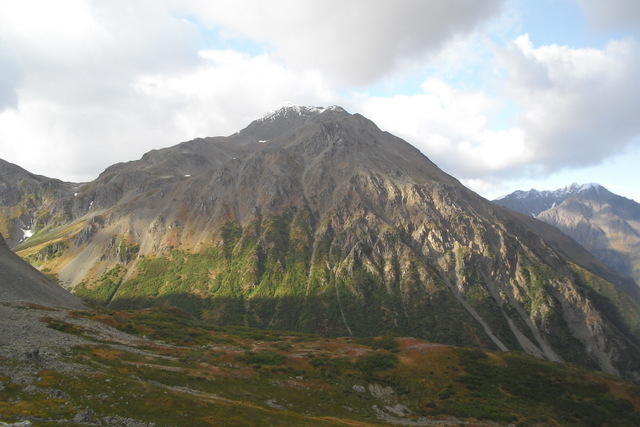 When I lived in Seward I hiked the trail behind the mountain weekly, and I still remember the feeling of climbing up the side ridge and how small I felt, how sheltered and safe, as if nothing could happen as long as I stayed in the mountain’s shadow. 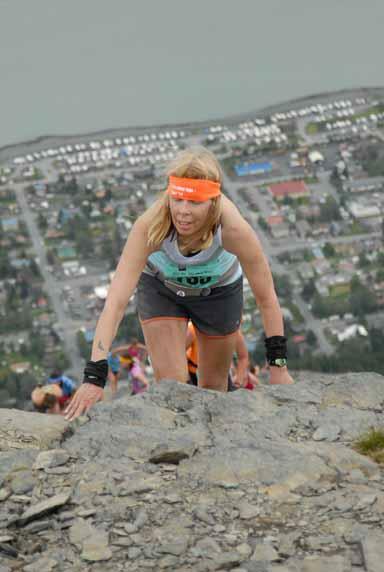 This year while running the Mount Marathon Race, I had an epiphany, not on the uphill struggle, as I normally do, but during the descent, when we let down our guards and hurl ourselves down the peak with little thought of danger or injury. 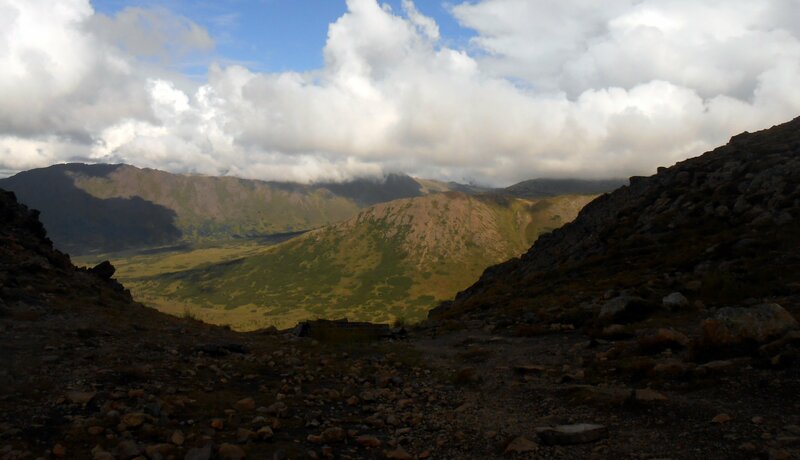 That’s me, struggling up the last ridge of Mount Marathon, fourth from the top, in the green shorts and pink arm warmers. Source: Loren Holmes/Alaska Dispatch. 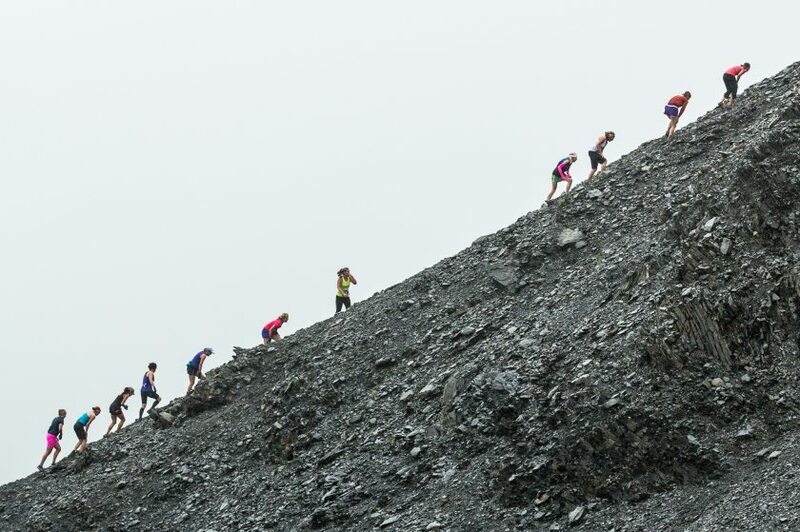 Climbing the last ridge of last year’s Mount Marathon Race. Source: Loren Holmes. 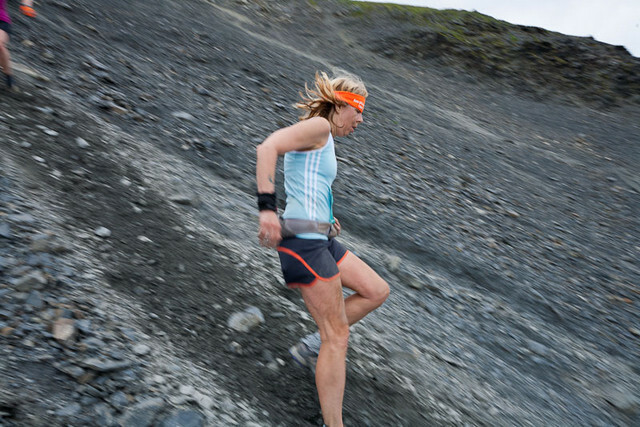 Running down the scree-covered slopes in last year’s Mount Marathon Race. Source: Loren Holmes. I realized that I have spent too much of my life afraid to let go. I’ve clutched too much pain and fear to my chest, and I think I’ve done it out of both familiarity and comfort, a way of not having to open myself up to the terrifying prospect of the unfamiliar, that blinding void that always comes when you close one door and must wait for a new one to open. I’m talking about my personal and emotional life, yes, but also my writing life. I’m so afraid to write what I really want to write. I’m afraid to tell my story, not the stories I’ve told thus far, many intimate and jagged and deep, but the real story, the real me. I’ve been hiding behind my words, and I don’t want to do that any longer. 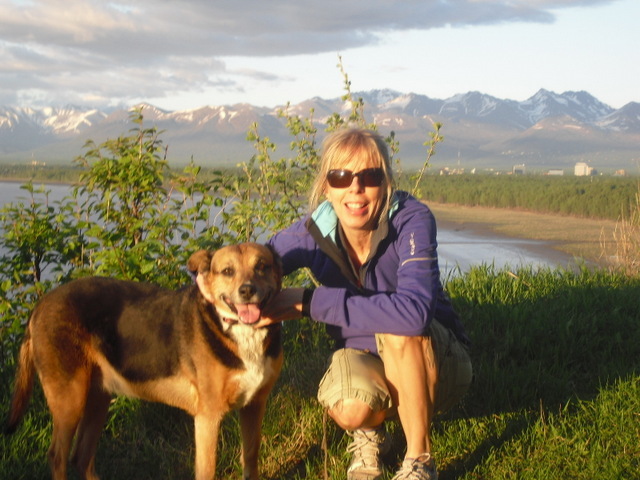 I suppose that since the Fourth of July is my sister’s death date, the same day as the Mount Marathon Race, that it’s inevitable that I feel reflective, that I want to live my life boldly and bravely. 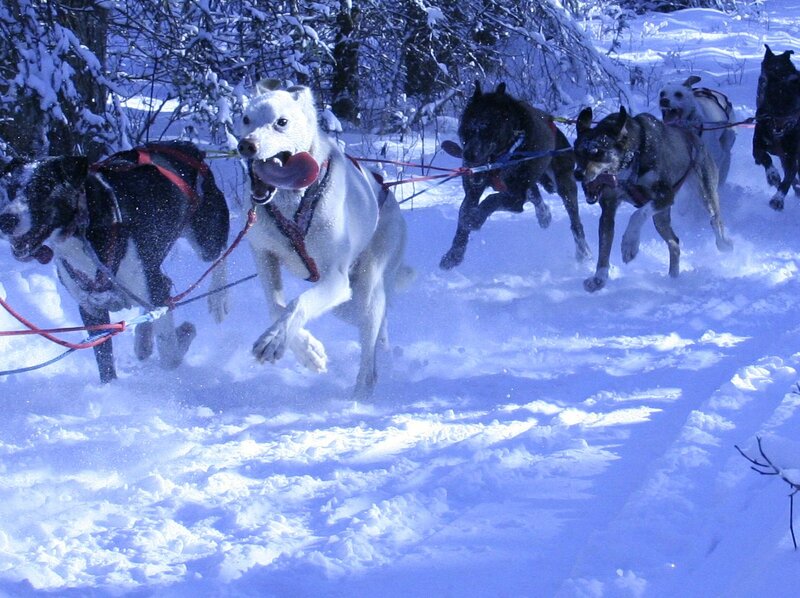 I want to write the way I run, my teeth bared, my body braced, my mind fierce and animal-sly. I want to write with wild abandon.